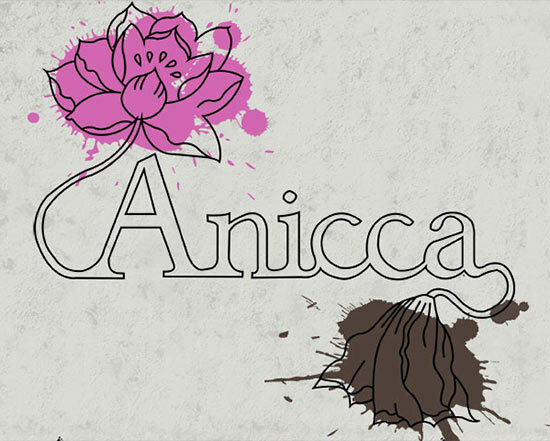 Custom typography showing the word “anicca”, the Buddhist concept of impermanence. The illustration reflects this using the motif of a dying lotus flower to illustrate that all things must pass. For your own custom typography get in touch!